One Piece fabricated rigid steel frame - thermally stress relieved. Counter rotating main eccentric gears with live F-B main pins. Ortilinghaus pneumatic clutch/brake with large accumulator. Quill mounted flywheel with auto lube. 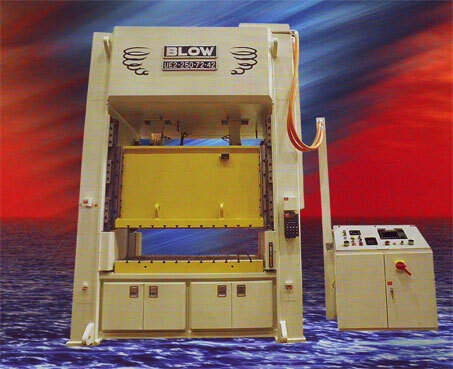 Self contained hydraulic overload system using press lube oil. Machined feed pad at RH end of press. Trabon circulating oil lubrication to all bearing surfaces. Allen Bradley variable frequency AC drive. Free standing operator console with overhead wireway to press. Omnilink 5000 press and automation control with 8 programmable cams.